Has the burble burst? Many people are asking themselves this very question as bitcoin prices continue to plummet. The digital currency has lost more than half its value in less than two weeks and more than 60% from mid December when it was at its peak of nearly $20,000. Bitcoin is now trading below $7,000 on Bitfinex. Many investors are obviously panicking as they see the value of their investments erased right before their eyes. There are several factors but the single most important one is Tether and the controversy surrounding it. So, how can a single cryptocurrency out of more than 1500 cause the market to crash? 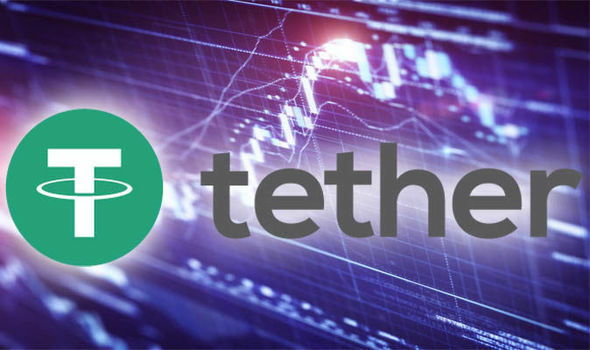 Well, unlike other cryptocurrencies, Tether was brought in to provide some stability to the market especially when buying bitcoin and other cryptocurrencies. For this very reason, it is pegged on the value of the US dollar. Tether Limited which issues the cryptocurrency even holds a US dollar reserve for every unit out there. At least that was the claim before it emerged last week that this was not the entire truth. Nearly 2.2 billion tether are in circulation according to CoinMarketCap. The idea behind the cryptocurrency which surfaced in 2015 was to circumvent banks which have been rather hostile to this market as well as make transactions much faster. Therefore, theoretically, you can purchase one tether for $1. With tether you could move quickly between exchanges, a process that would be long and tedious if you were using fiat currency. There is also the big risk of holding fiat within an exchange in case there is an insolvency. Tether appeared to be taking care of this problem quite well. As has been demonstrated in the last few months, it only takes one serious attack to bring a cryptocurrency exchange to its knees. Tether Limited is a company registered in the Virgin islands but incorporated in Hong Kong. Tether is however strongly associated with Bitfinex. The allegation, which has been going round for at least a few months is that Tether Limited does not actually hold enough in US reserves to back the coins in circulation. The net effect of this revelation is that the price of bitcoin is inflated by as much as 80%! Bitfinex and Tether have already been subpoenaed by Commodity Futures Trading Commission according to a Bloomberg report. The damage is already done but the effect if the allegations are true will be devastating for this fledgling market. Suspicions have further deepened after there was a spike in tether tokens immediately after the subpoenas were issued. A total of $850 million worth of tokens were issued in January alone according to data on CoinMarketCap. Compare this to just $50 million worth in existence in April 2017. This is the equivalent of printing $850 million worth of currency and pumping it into an economy. For a market which is now worth about $400 billion, the effect is huge. It is quite understandable that demand for Tether was very high given the ability to circumvent banks operating under strict regulatory frameworks including Know Your Customer policies. Under the conditions of very high speculation about bitcoin prices, it is possible to see why a huge number of Tether could be pumped unnoticed. Going by the data from CoinMarketCap, there is a suspicious correlation between the increase in the tokens and the spike in bitcoin prices. At one point there was a 50% rise in bitcoin value immediately after Tether grants arrived on Bitfinex. “One interpretation of the data suggests that Tether could account for nearly half of Bitcoin’s price rise, not even allowing for follow-on effects and the psychological effects of rallying the market repeatedly,” a report by a group calling itself 1000x Group said. The fact that the token was “backed on the US dollar” was particularly attractive to investors allowing users to make almost instantaneous transactions at minimum cost. It is now emerged that Bitfinex and Tether Limited are being run by the same CEO. Much of tether’s traffic has been headed to the exchange in recent months. Analysts suspect the exchange is dealing with solvency issues. Bitfinex and Friedman LLP which has been auditing the exchange terminated their contract making it even more difficult to get into the matter. The company claims an audit was unattainable given the “detailed procedures” undertaken by the audit firm. Lets also remember that Bitfinex was hacked in August 2016 with about 120,000 bitcoins stolen, the valued at $70 million. Their response was to spread the loss to all its customers and instead issuing BFX tokens. Customers were given the option of converting the tokens into shares. The other option was to hold on to the tokens and trade them in when the exchange got enough money to repay. The company has since claimed it can repay all its customers with its BFX tokens. It is however not clear if it can service all the claims at once given the fact that only cash credits were issued. The fact that there were problems making outbound payments immediately after the announcement provides a good pointer as to the state of affairs. At one point Tether Limited claimed Taiwanese banks were rejecting incoming international wires. How tether tokens subsequently went up dramatically remains a paradox. How would the number of tokens increase dramatically if the company could not receive money from customers? It is instructive that no comprehensive audit has been done since the hack in 2016. At least the results have not been announced. The latest audit firm to withdraw is Friedman LLP, engaged in May 2017 to do a balance sheet audit. The development in itself does not portray a good picture of the company. We do not expect to hear much about what is found since it is bound by non-disclosure agreements. Tether has not commented on the controversy so far. A report it released in September ostensibly showing it held the reserves was not enough to make any conclusions as the names of the banks had been blurred. If Tether was indeed used to inflate bitcoin prices by as much as 50% as claimed, we can expect a massive correction that could see 80% of the value wiped off. The aftereffect will last a few months at least. At this point, the market sits on a very precarious position. A slight recovery could still give the much needed confidence. If investors panic and pull out en masse, it could spell a catastrophe. This is however unlikely unless other factors come into play.